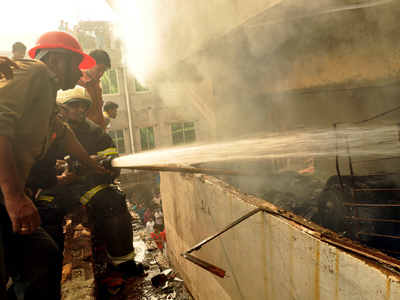 Another fire broke out at a garment factory in Dhaka, Bangladesh, two days after a blaze at a separate clothing factory killed at least 112 people. Estimates of damage and casualties are not yet known. The fire broke out on the third floor of the 12-story building, which houses four different garment factories. Some of the building’s workers are trapped on the rooftop, firefighters reported. 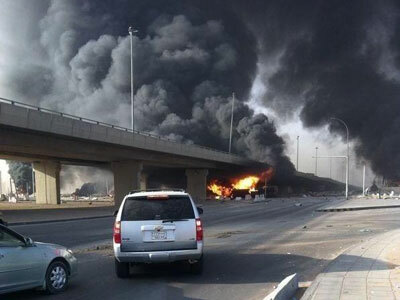 "It looks like a huge fire. 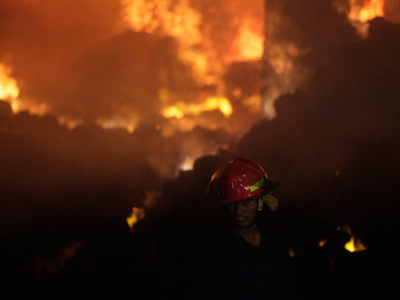 Our teams have just arrived and are working to douse it," a senior fire official told AFP. 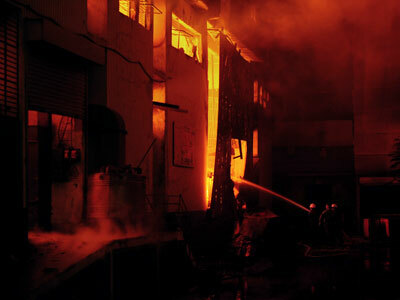 The blaze broke out at the Euro-Bangla garment factory at about 10:05am local time (04:05 GMT), officials said. ­On Monday, thousands of garment industry employees turned out in a Dhaka suburb to protest their working conditions. Demonstrators blocked streets, threw stones at factories and smashed vehicles. Around 200 factories were closed for the day after workers protested in Savar, the industrial zone where Saturday's deadly fire occurred. Then, at least 121 people were killed, with the night shift workers jumping out of windows after fire blocked exits, and the seven-story factory was filled with suffocating smoke. The death toll was initially reported at eight, but rescuers discovered dozens more bodies when they entered the ruins. The inferno began on the ground floor, trapping the employees inside the building.